Purpose: Teach players that a score deficit does not necessarily mean the end of the game. 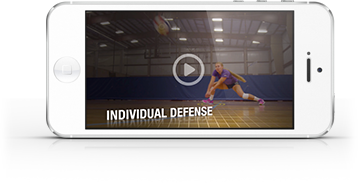 Teach aggressive and fierce side-out playing to make your team work for each and every point at the end of a match. How it Works: 6 players start on each side. Designate one side that starts with 21 points and the other side starts with 17 points. The side with 21 points is serving the entire time and can only earn points on their serve. If the opposite side sides out on the serve, they earn a regular point and are then given a free ball for a chance to earn a second point. Focus on tough serves and aggressive side out play. Requirements: At least 12 players, balls, a full court, and a net.